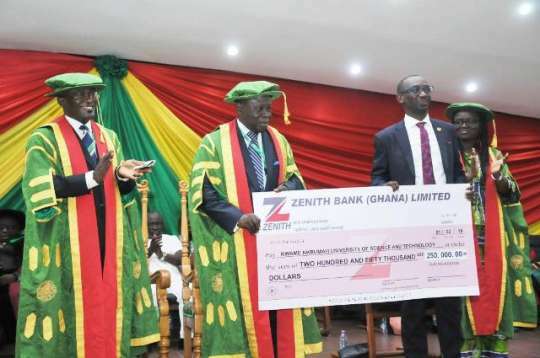 Professor Kwasi Obiri-Danso, the Vice-Chancellor of the Kwame Nkrumah University of Science and Technology (KNUST), has announced plans by the authorities to establish a regional 'Centre of Excellence in Petroleum Engineering'. The University's vision, he said, was to augment post-graduate and professional training of engineers and technical personnel for the petroleum industry, especially within the West African sub-region. It is the first instalment of a million dollar fund to be disbursed over four academic years, and the purpose is to establish a professorial chair at the University's Department of Petroleum Engineering of the College of Engineering.